Young had served time for breaking and entering as a teenager in the early sixties. He became interested in art while in prison and was encouraged there to develop his talent. Young had served time for breaking and entering as a teenager in the early sixties. He became interested in art while in prison and was encouraged there to develop his talent. 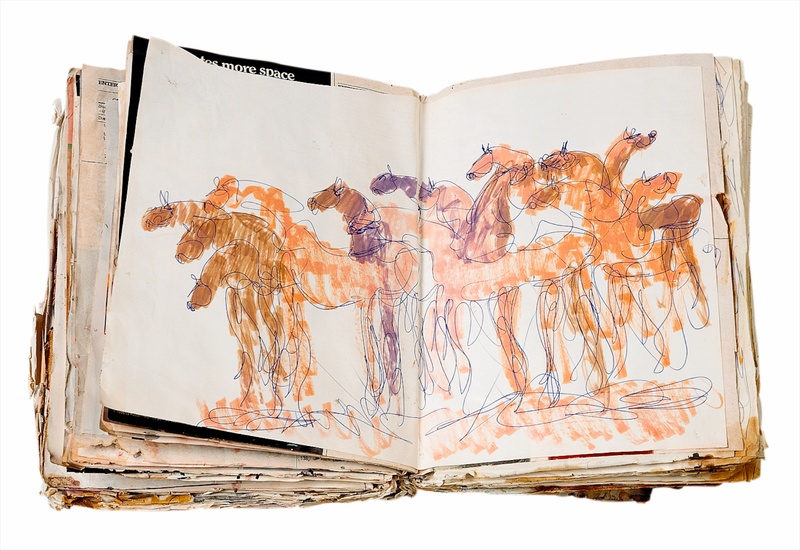 After release from prison, he produced thousands of small drawings, which he kept in shopping carts and later glued into discarded books and magazines that he found in the streets. 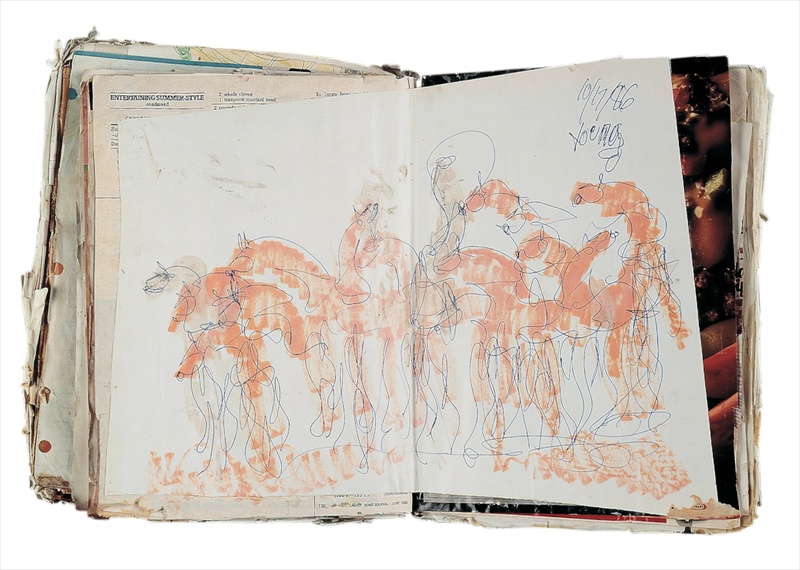 The drawings in these books would generally cover a range of Young's favorite topics—buildings in the city, funerals, horses, boats at sea, people of the streets—but Young would occasionally create a book with a hundred or more drawings dedicated to a single theme. 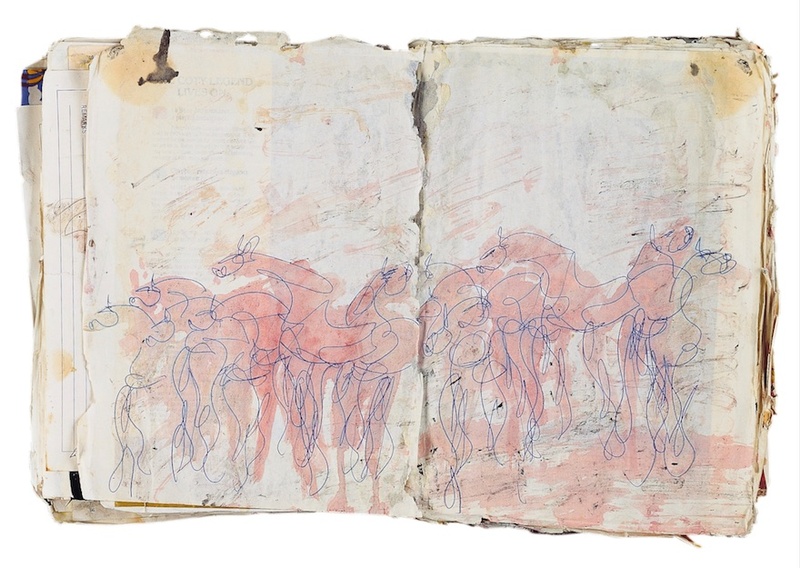 The drawings might be inscribed with short, sometimes cryptic, and often poetic phrases.